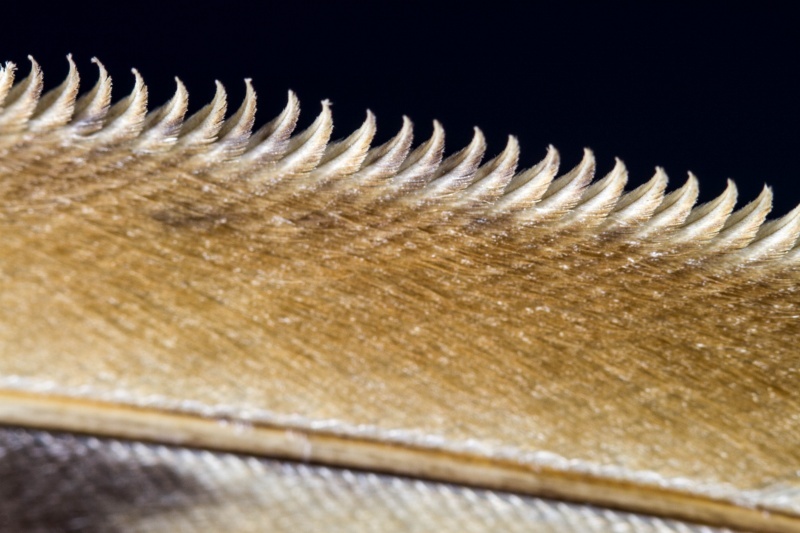 The most unique adaptation of owl feathers is the comb-like leading edge of the primary wing feathers. This helps the the owl to fly silently. Image © Kay Schultz.